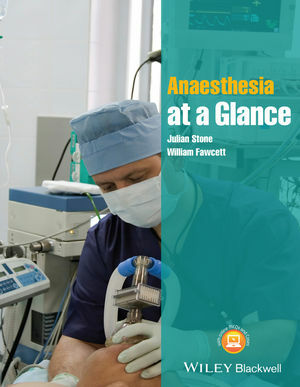 Anaesthesia at a Glance is a brand new title that provides a concise and visually-orientated summary of a comprehensive lecture course in anaesthesia. Ideal for clinical undergraduate medical students and Foundation Programme doctors undertaking anaesthesia attachments, it gives a systematic, broad view of anaesthesia in various specialties, taking the reader through preparation, management and the pharmacology behind anaesthetic medicine. Anaesthesia at a Glance is supported by a companion website at www.ataglanceseries.com/anaesthesia containing interactive multiple-choice questions and answers together with a selection of interactive cases – perfect for study and revision. Whether you want to refresh your knowledge or need a thorough overview of the specialty, Anaesthesia at a Glance presents all the vital clinical information you need. Anaesthesia at a Glance Companion website features over 40 interactive MCQs and answers, and 15 interactive cases.